On July 1, 2014, Admiral Michelle Howard became the first female four-star Admiral in the United States Navy’s history. She assumed her new rank at the Women in Military Service for America Memorial at Arlington National Cemetery. With this rank also came assignment as Vice Chief of Naval Operations, making her the number two officer in the naval service. She is not only the first woman to hold the job, but also the first African-American to do so. Why was this day so long in the making? Who are some of the trailblazing military women that helped pave the way for her throughout our nation’s history? And just who is Michelle Howard, the woman who earned this remarkable distinction? While there have been short, popular media articles written about Admiral Howard, and she is mentioned in several compilation volumes on notable military leaders, African Americans, and women, this talk is based on will be the first in-depth, scholarly piece dedicated to her biography and her place in history. 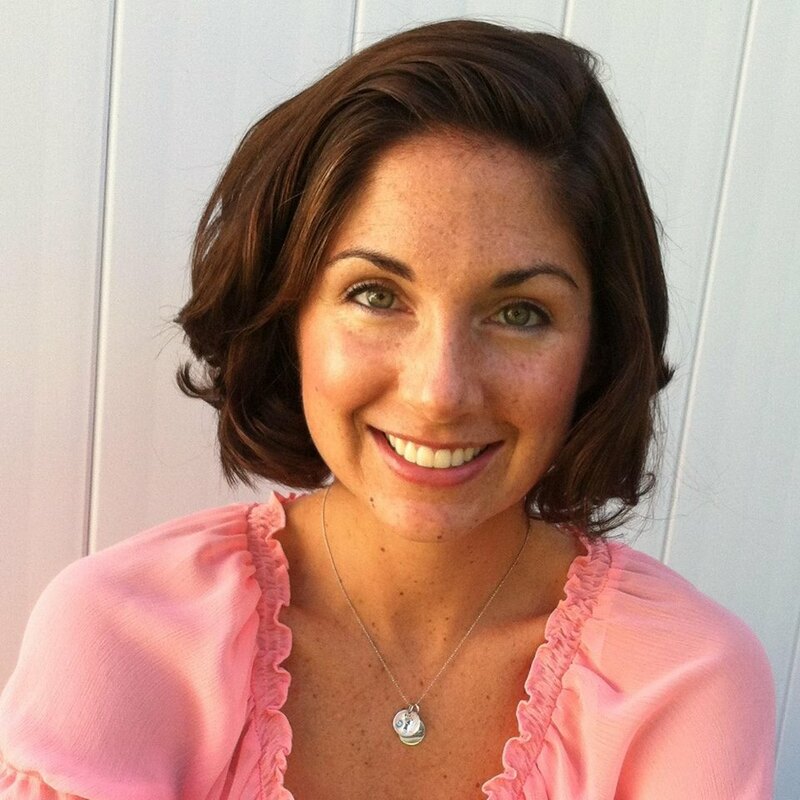 Melissa Ziobro is currently the Specialist Professor of Public History at Monmouth University in West Long Branch, NJ, teaching courses to include Introduction to Public History, Oral History, and Museums and Archives Management. Her service to the University includes coordinating the Monmouth Memories Oral History Program and her Department’s social media and newsletter. Melissa serves on the Executive Board of Oral History in the Mid-Atlantic Region; as a Trustee of the Parker Homestead in Little Silver, NJ; and as the editor for New Jersey Studies: An Interdisciplinary Journal, a joint venture of the NJ Historical Commission, Rutgers University Libraries, and Monmouth University. She has worked with public history organizations such as the Monmouth County Park System, InfoAge Science History Learning Center and Museum, Monmouth County Park System, Monmouth County Historical Association, Monmouth County Historical Commission, Middlesex County Office of Culture and Heritage, National Guard Militia Museum of NJ, and more. She served as a command historian at the U.S. Army Communications-Electronics Command, Fort Monmouth, NJ from 2004 to 2011. “How the US Navy Won the Civil War” presents, via Skype, period evidence of the far more critical role played by the Navy in the course of that war, arguing that the fall of New Orleans, rather than the Battle of Gettysburg, was the true turning point. Straddling that event in the Spring and Summer of 1862, the battles of Shiloh and Malvern Hill, denied the South the European recognition it relied upon. The real effects of the blockade as well as the Navy’s largely unstudied contribution in maintaining Union control in re-conquered territories are also examined. Chuck Veit is president of the Navy & Marine Living History Association, a non-profit corporation dedicated to promoting public awareness of American naval history, and is the proprietor of 31BY5 Publishing Services, a venture dedicated to providing quality book design, layout, and illustrations to self-publishing authors. He has worked in the field of graphic design since 1976 and, for the past fifteen years, has pursued and succeeded in dual careers: corporate graphic design, and the research, writing, and presentation of U.S. Naval History. He is the author of six self-published books, and numerous articles on naval topics, and is the Layout Editor for the Journal of the Company of Military Historians. As President of the Navy & Marine Living History Association, Chuck has presented naval history at living history events, lectures, and conferences including NOAA’s Maritime Heritage Education Conference, the 2012 Civil War Navy Conference at the Mariners’ Museum, the Naval War College, and the Naval Order of the United States at Jacksonville. As a freelance graphic designer, Chuck has taught Graphic Design at the university level and in a corporate environment. He holds a Bachelor’s in Studio Art and Historical Linguistics, and a Masters in Historical Linguistics from Clark University. This entry was posted in Meeting archive on April 18, 2018 by hlj. Bob is presenting for our Community Outreach initiative: 10:30 am, July 2, 2018, at the Katz JCC Community Center, Cherry Hill, NJ. The JCC charges a $5 donation to cover refreshments. Over many years Bob Russo made numerous trips to Arlington National Cemetery to better understand the history and sites of this National treasure, hallowed ground and final resting place of over 400,000 veterans and their family members. Bob’s presentation, Arlington National Cemetery—Garden of Stone, is the result of much of that work. To stand at Arlington National Cemetery today it’s easy to look at the rows of tombstones, set in perfect alignment, and view the rolling hills as a Garden of Stone. What you see today involves years of evolution that started long before the Civil War. In fact the narrative of the ground at Arlington goes back to the time of the American Revolution when George Washington’s adopted son purchased the ground where the National Cemetery sits today. Year’s later Robert E. Lee resided here. The guards at today’s Tomb of the Unknowns tie directly to George Washington and his Continental Army. That connection can be seen at Valley Forge National Historical Park. These associations to the past convey an interesting story that spans over 235 years. Many stones symbolize the story of an American hero, someone who served our Nation either in the military or some other capacity. Beyond the graves are numerous monuments that tell a tale of American courage, some from America’s most heart wrenching and iconic moments. Three of the Marines who raised the flag at Iwo Jima are buried here, President Kennedy, his brothers, two Apollo 1 astronauts, Joe Louis, Audie Murphy and many other well known Americans. Memorials to the Shuttle Challenger Astronauts, the Confederate Monument, the Memorial Amphitheatre, the Nurses Memorial, war memorials and the great dignity of the Tomb of the Unknowns, along with others, will be discussed in this presentation. 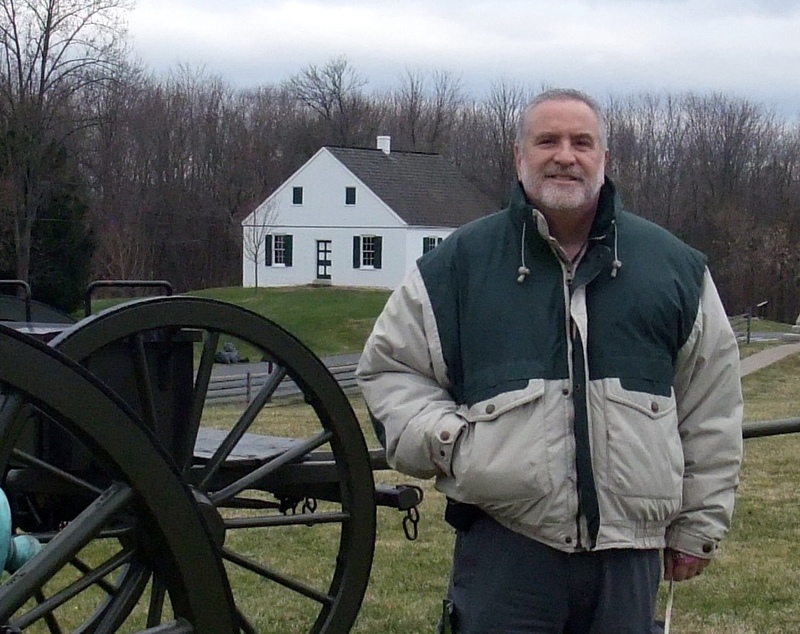 Bob Russo is the Vice President of Old Baldy Civil War Round Table and can also be found most Saturday mornings volunteering for the National Park Service at Independence National Historical Park. While there he conducts tours of Independence Hall, Congress Hall and offers interpretation at the Liberty Bell and other sites within the Park. Bob has a vast interest in American history that dates back to his teen years. 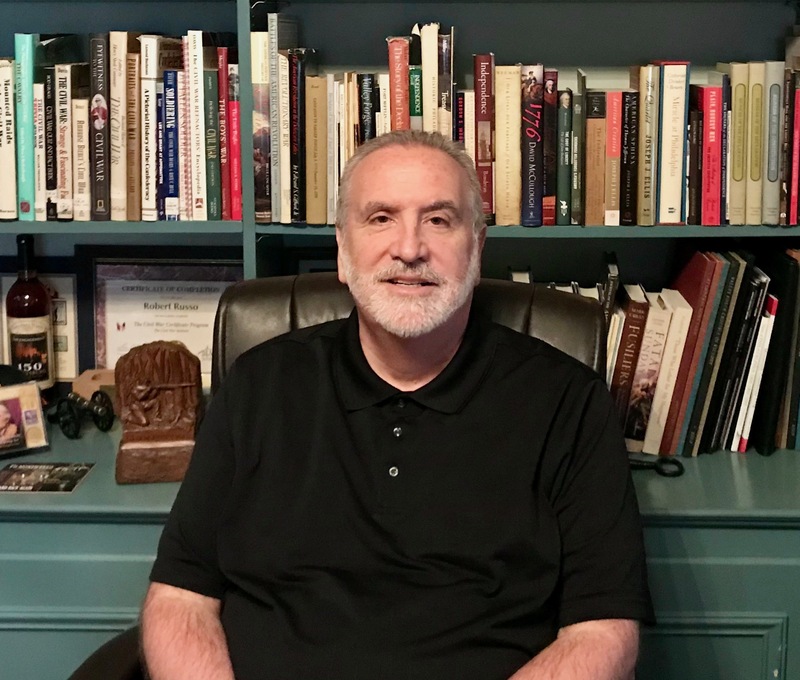 Bob has been a member of numerous historical organizations over the years that include the Gettysburg Foundation, Surratt Society, Ford’s Theater Society, Civil War Trust, National Constitution Center and others. Bob also received the Certificate of Completion from the Civil War Institute at Manor College in Pennsylvania. In his employment Bob works as the Senior Vice President of a local structural steel and miscellaneous iron fabricator and erector. This is an often-somber presentation that coincides with the solemn remembrances of Memorial Day. Bob’s hope is that you learn a few things about Arlington National Cemetery that you didn’t know and that this presentation causes you to want to visit or revisit this historic National Cemetery. He further hopes that you will be touched in some way by some of the stories and photos from, Arlington National Cemetery—Garden of Stone. This entry was posted in News on April 17, 2018 by hlj. Only a few miles from where many of our members live, sits what is known as the most historic square mile in the United States of America. Independence National Historical Park, located in Old City Philadelphia, encompasses approximately 55 acres, and includes numerous original historic structures that tell the story of our Nation’s founding and our Founders. Independence Hall, Congress Hall, and Old City Hall where the United States Supreme Court met from 1791 to 1800, will be discussed in this presentation. Additional buildings, such as Benjamin’s Franklin’s Print Shop, the First and Second Banks of the United States, and some important players in our Nation’s founding will be discussed. Also discussed will be the famed Liberty Bell, a symbol of freedom and liberty for people all over the world and an inspiration for oppressed people everywhere. Stories of Independence Hall will include the Pennsylvania Supreme Court Room, the Assembly Room where great events happened and the Long Gallery on the second floor, which is often overlooked but has great importance in both the Revolutionary Era and just previous to the Civil War Era. The presentation occurs just a week after our July Fourth celebration. In 1948, the National Park Service took over operations of the park and they continue to maintain the structures and grounds throughout the park. Previous to the Bicentennial of Independence in 1976 vast improvements were made throughout the park in advance of that celebration. We now look forward to the Nation’s 250 birthday in 2026 with improvements already taking place. Bob’s expectation is that you’ll learn a few things about Independence National Historical Park and the momentous events that occurred in and around the hallowed buildings of the Park. Bob’s hope is that after experiencing the presentation you’ll want to visit the park at some point in the future. Bob Russo is a current member and former Vice President of Old Baldy Civil War Round Table. He can also be found many Saturday mornings volunteering for the National Park Service at Independence National Historical Park. While there he conducts tours of Independence Hall and Congress Hall and offers interpretation at the Liberty Bell and other sites within the park. Bob has a vast interest in American history that dates back to his teen years. He has been a member of numerous historical organizations over the years that include the Gettysburg Foundation, Surratt Society, Ford’s Theater Society, Civil War Trust, National Constitution Center, the Museum of the American Revolution, and others. Bob recently became a Share Holder of the Library Company of Philadelphia. 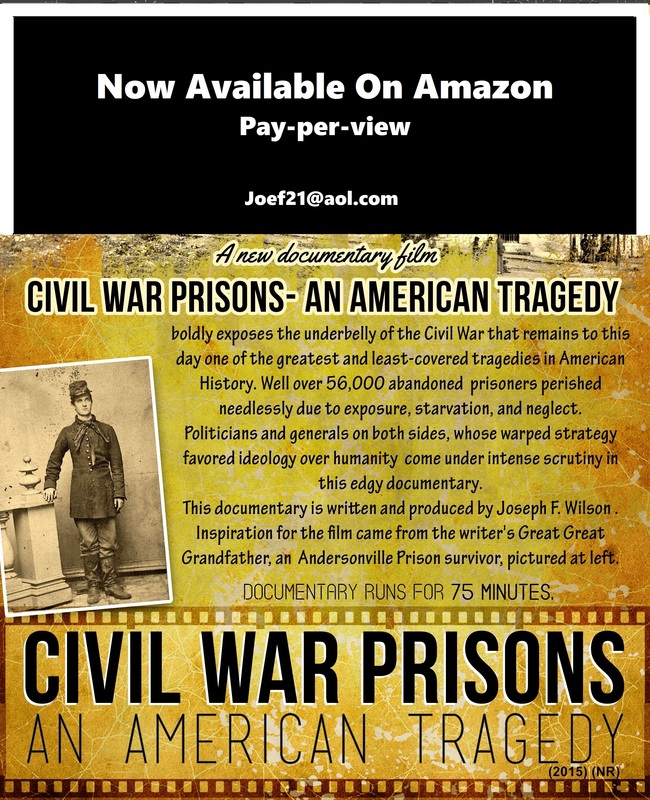 In 2014 Bob also received the Certificate of Completion from the Civil War Institute at Manor College in Pennsylvania. In his employment Bob works as the Senior Vice President of a local structural steel and miscellaneous iron fabricator and erector. 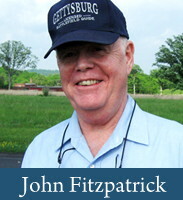 Bob has been a resident of Cherry Hill for over twenty-five years and also served a full term on the Cherry Hill Board of Education from 2006 to 2009. He served one year as that Board’s Vice President. This entry was posted in Meeting archive on April 15, 2018 by hlj.